Losing your Android phone can be the worst disaster that can ever happen to you. You may have either misplaced or forgotten your phone somewhere or someone may have stolen your Android phone. Today, your mobile phone is just not an instrument to communicate, but is a device that contains all your personal information. Your Android mobile phone is your buddy, your pal, your best friend that holds all your secrets. The question is how to find your lost or stolen Android phone? Should you just complain at the local police station and inform your service provider about your loss? Or is there anything more that you could do from your side to recover your lost or stone Android phone? Well, it is very well possible to find your lost or stolen Android phone and we shall see just how in the following paragraphs. In the devices running Android 4.4 or earlier, you needed to reset the unlocking method after putting the incorrect pin, password or pattern about 5 times. However, if the person who had stolen your phone could unlock it, if they knew your Google credentials. However, this flaw has now been removed in Android versions 5.0 and above. The latest Android phones working on 5.0 version and above have something called as Android Device Manager. This feature is activated in most phones by default. However, you can check if it is activated in your phone as well. Just go to the Settings Device Administrators. Here, you will find Android Device Manager. Click on it to keep it activated in case you ever lose or have your Android phone stolen. In case you lose your phone, you can locate your phone using the Android Device Manager. It not just helps in locking your device, but can also make your phone ring or erase most of the data on it. In order to access the Android Device Manager, you need access to the Internet. Open any web browser and type in Google.com. 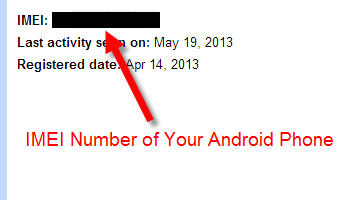 Log into your Google account that you use on your Android phone. Now, type ‘Where is my phone’ in the search window of Google. It will make a search and will give you the location of your phone. This result is quite a type of hit and miss. So, better click on the first link Android Device Manager. This will take you to the Device manager site where you may have to sign in to your Google account again. Immediately begin the tracking of your device. If the same account is used on multiple devices, then select the device that is lost. The Device Manager will begin tracking your missing phone and in a few seconds, it will be located. You will be able to see the location, time located, and the accuracy range. Thus, you will have a good idea of where your phone is lost or stolen. So, the device screen will flash this message or have a large button that says ‘Call Owner’. If the finder is honest, he/she will call back and return the phone. In case of the thief, they will realize the phone is being tracked and may become nervous. This, however, may not be much of a problem for a professional thief. You could even give a command to ring the phone. This will give you the exact location of the phone, in case you have just misplaced it somewhere around you. The phone will ring at its highest volume, even if it was on silence mode. You could even trace back your steps to the area where you last saw your phone. You may hear your phone ring and retrieve it back safely. After trying the tracking, ringing and locking features, the last resort for a lost phone is to erase all data. If you cannot find your Android phone, then it will be a good idea to give the ‘erase’ command. This will lead to factory reset leading to deletion of all personal information, music, videos, pictures as well as other stored files. However, there is a possibility all files from SD card may not be deleted. Once this step is complete, the Android Device Manager will stop working. This means it is time to say ‘Good Bye’ to your dear phone. This is all about how to find your lost or stolen Android phone. You could even keep third-party apps such as Where’s My Droid, Cerberus anti-theft, etc. downloaded in your phone. They could be useful in an event if you lose or have your phone stolen.